"When the welfare of a community watershed is at stake, the importance of public drinking water must take precedence over all other claims..."
Don't worry, you won't be inundated with emails from us. We aspire to completing a monthly newsletter. Thank you for your interest! 1. 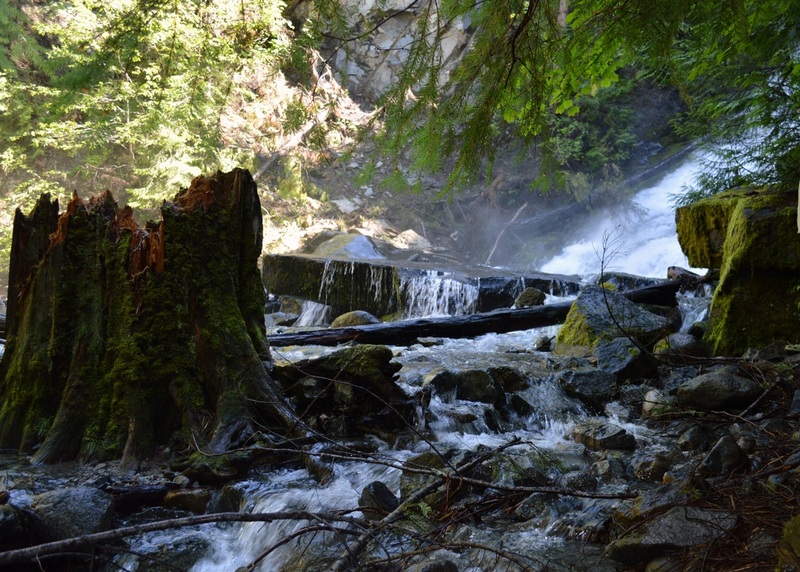 Proposed Logging has the potential to damage and/or contaminate our only community water source, and the water sources of other Glade residents on small upper face watersheds. Landslides and other land activity could compromise the treatment of our water. 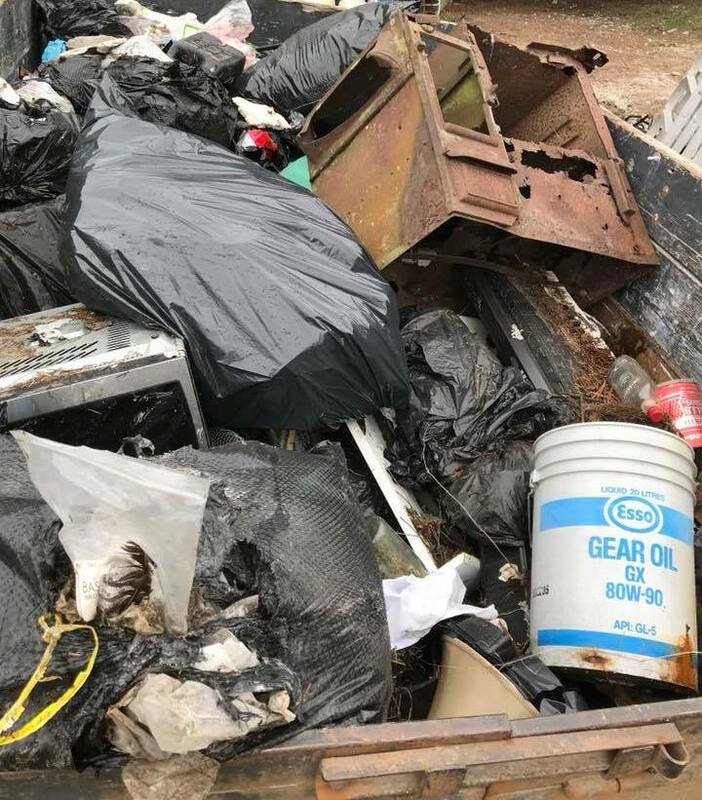 If our water source is damaged or contaminated, there will be health repercussions, huge monetary repercussions, damage to our lifestyles and businesses in Glade, and a reduction in real estate value. As Glade is on a current Boil Water Notice, any further complications to our water system could exacerbate that turbidity, and therefore the safety of our water. See what you can do: TAKE ACTION! 2. If our water system is damaged: Logging companies have amazing leeway in the amount of damage that can be caused without being held accountable in any significant way. There is not much public confidence in the industry being held accountable, especially as there is no legislated requirement to do so. See 'Damage to the Watershed?' on this website for more detail. 3. Road building is a primary source of disturbance associated with logging. 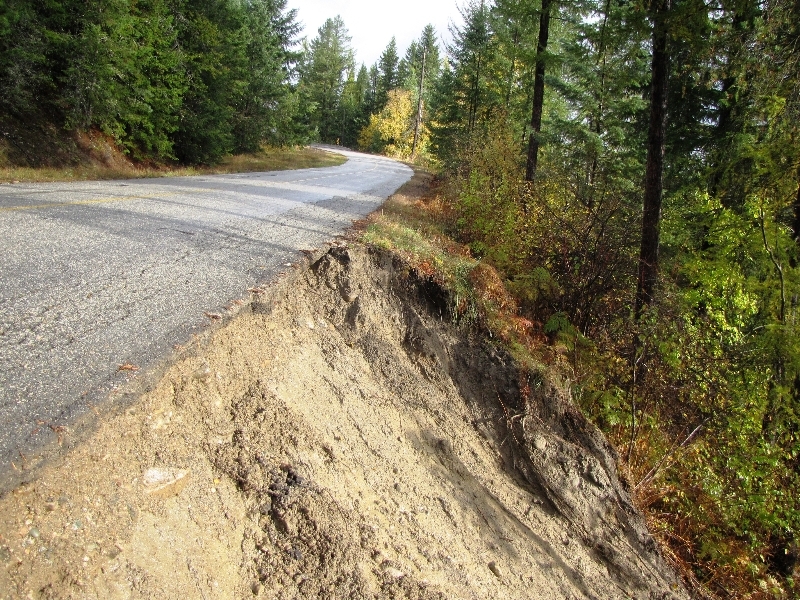 Road building and road maintenance increases sediment through erosion of road surfaces, road fills or from slope failure associated with road construction and drainage. Even with best practices, road building can have high consequences when impacting a community drinking water system. 4. Extensive road building will result in motorized traffic, as seen in the Rover Creek (Blewett watershed, that backs onto Glade watershed). Once the extending road is built by ATCO, vehicles will be able to go up Rover Creek and enter our watershed. 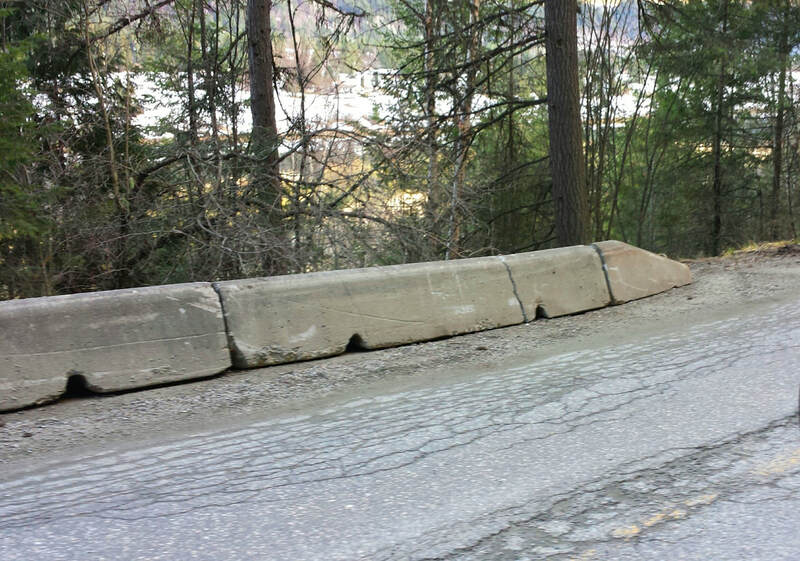 No barriers are permitted on these roads, because BC government policy maintains that once a road is put in, it is 'there for the use of all British Columbians'. Plus, if any barriers are erected, that are put usually quickly taken down by motorized users. Rover Creek is even mapped out on a motocross site and is 'Free to use, because it is on Crown Land'. See this YouTube video for what it looks like. Traffic will increase the danger of fires (40% of all wildfires in BC are human caused), contamination of drinking water, and further degradation of the eco system in our water shed. 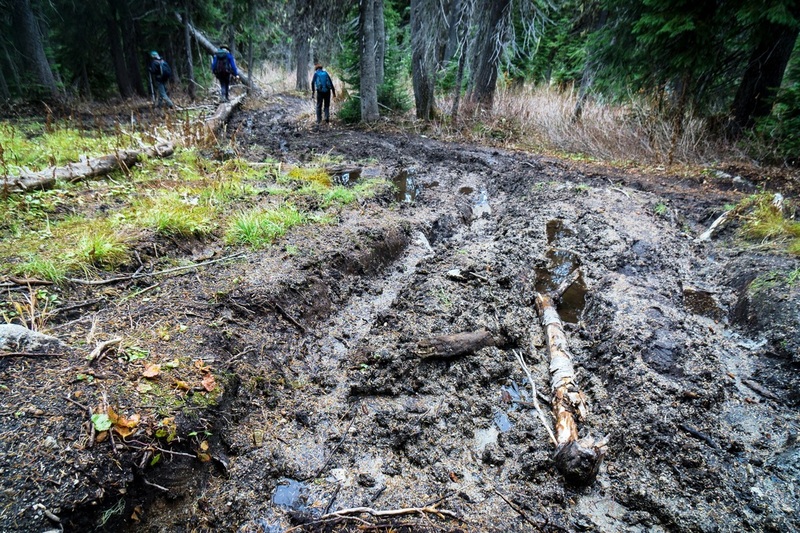 ATV damage is evident in the picture from Hazeldean Recreational Trail, upper Redfish Creek near Nelson, BC. (Apex File HA-15-KL-02 see full report HERE) commissioned by ATCO and Kalesnikoff examined effects of one block proposed for the watershed. No other cut blocks or road locations were discussed even though a company forester stated at that meeting that there would eventually be more cut blocks. The GWPS authored a 'Discussion Paper' on the assessments in an attempt to bring the inadequacies of the reports (Terrain & Hydrogeomorphic) to the licencee's attention. 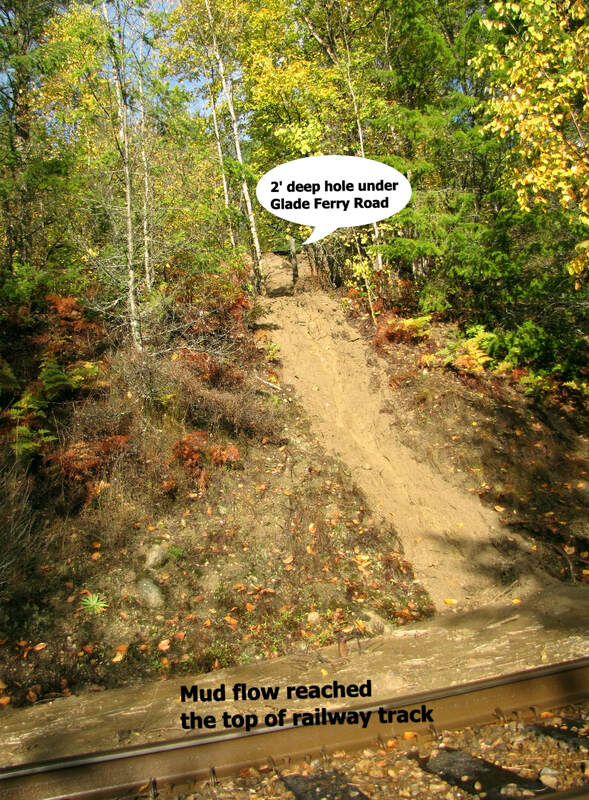 A landslide into our creek that occurred after the report was written was not included (obviously) - making the report outdated. KLC stated that the assessments were 'good for 10 years', regardless of anything discovered post-report. Below is the 'Executive Summary' of the Discussion paper. Even though the report purports to “provide guidance for forest development to limit the risk of … impacts occurring (to our water), and the logging companies have stated that they are using this report as a basis for their logging; it does NOT address the following: The impacts of road building on our watershed and water source, the impacts of landslides on our water intake, the causes of Glade Creek current turbidity, the implications of Glade Creek’s current turbidity, the implications of the lack of relevant discharge gauging data, and climate change effects on Glade Creek Watershed. that logging activity around and above these PODs could affect their water flow. 7. Clear Cuts will impact large areas of the watershed eco system currently supporting all measure of wildlife including bobcat, bear, cougar, deer, coyotes, otters, birds, salamanders, fish, insects, and plant life. Logging can displace large mammals (and other wildlife) like grizzly and cougar. Roads will provide routes for motorized recreational traffic where none was before, and easy access for hunters. Displaced animals might come in conflict with humans, decreasing safety to both human and animal. 8. Bull Trout: The Department of Fisheries has recorded the capture of juvenile bull trout in Glade Creek, which may suggest successful spawning of bull trout in the creek. There is a field study in progress to establish whether bull trout spawning is occurring there. The fish habitat of the Blue-Listed Bull Trout is cold, clear water for survival. With increased turbidity, and a variation in temperatures due to more or less water coming down the creek, the trout could be made further vulnerable. Fish are susceptible to water temperature changes, as is seen in the Fraser River this year: "Furthermore...warm waters in the Fraser may kill sockeye salmon — a cold water fish by nature — as they travel upstream to spawn." (﻿Warm Water Blamed...﻿) Blue-listed species are considered to be vulnerable and "at risk"... Populations of these species may not be in decline, but their habitat requirements are such that they are vulnerable to further disturbances (Harper et al. 1994). 9. 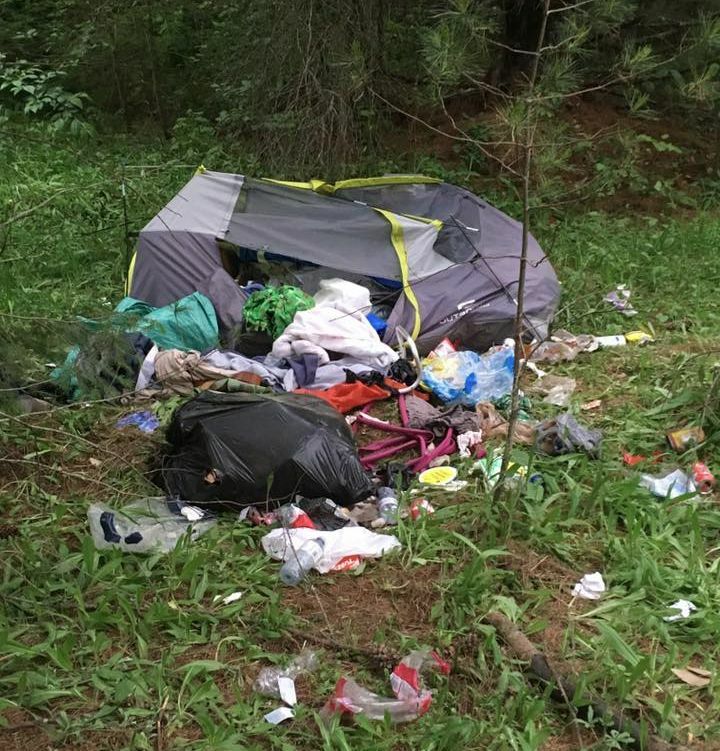 Important hiking trails would be compromised: the lower reaches of Glade Watershed border our community. 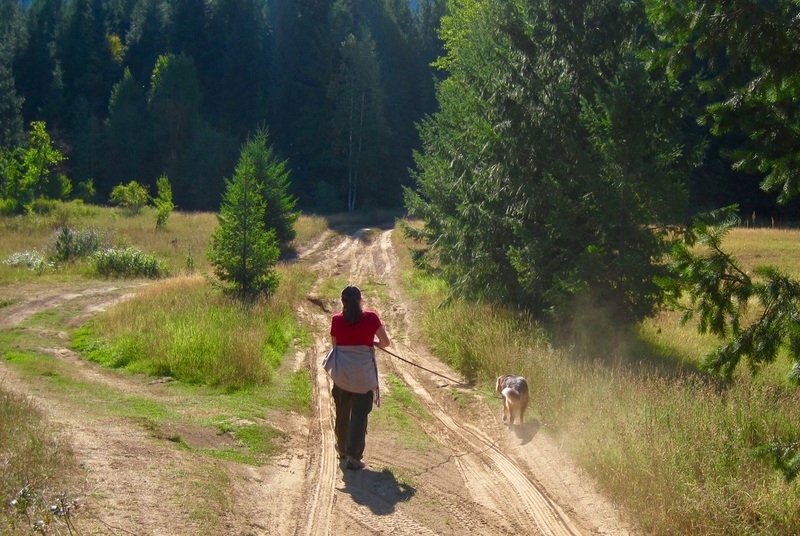 On any given day, summer or winter you will find adults, children and dogs enjoying the trails. In July heat it is a cool, fragrant retreat under the canopy among the waist-high ferns, while on snowshoes or skis in winter, it is a place of sparkling enchantment. The prospect of residents or visitors scrambling over parched piles of slash and gravel to reach the the waterfall is saddening. The waterfall road would be affected: According to their initial tagging, Kalesnikoff will most likely punch a road in close to the waterfall and up the mountain to wherever their cut blocks begin. This waterfall path is a scenic route and a well used recreation spot. The Trans Canada Hiking Trail runs along the Skattebo, through Glade and extends on to the proposed Ward Ferry Trail in north Glade. Both of these trails, the Skattebo and the Ward Ferry have had extensive funding and upgrades for the hikers and tourists that use them. 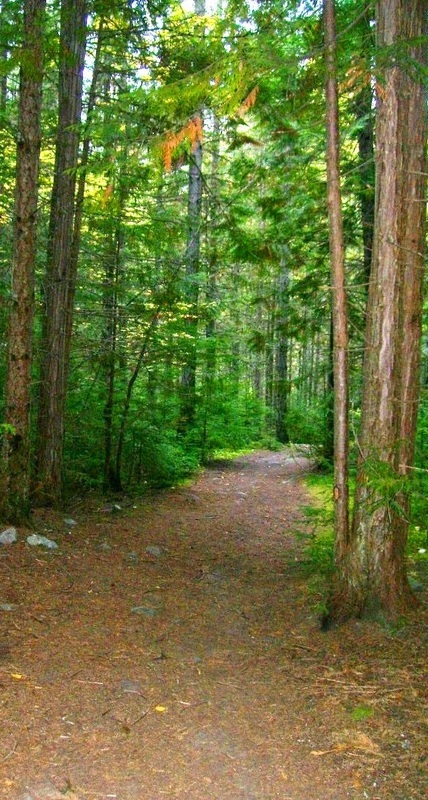 On the Trans Canada Trail website the Skattebo is described as: "A pleasant 10.5 km hiking trail along the Kootenay River, with a short 1.5 km walk through the town of Glade". There are concerns in regards to the safety and esthetics once proposed roads and logging trucks start traversing this trail. 10. Will old growth trees be properly protected? The Kalesnikoff representative stated (Sept/15 mtg) that there is 'designated' old growth and 'non designated' old growth in our watershed. They say they will be logging the old growth that is not 'designated'. But how will we know? When this was mentioned to another Forester (RPF), he stated that he wasn't even sure what was meant by the term 'designated and non-designated'. 11. Logging trucks, fully loaded, will routinely travel through this community where no sidewalks exist, and across a small on-demand ferry. As one resident put it, "walking is big in Glade." Whether it's parents pushing strollers with toddlers trailing on tricycles or my elderly neighbours taking their exercise, the roads of Glade are traversed on foot many times daily. Once logging trucks are rolling through our community, there will be delays at the ferry. Our woods and waterfalls will become places of industry and motorized recreational traffic. 12. 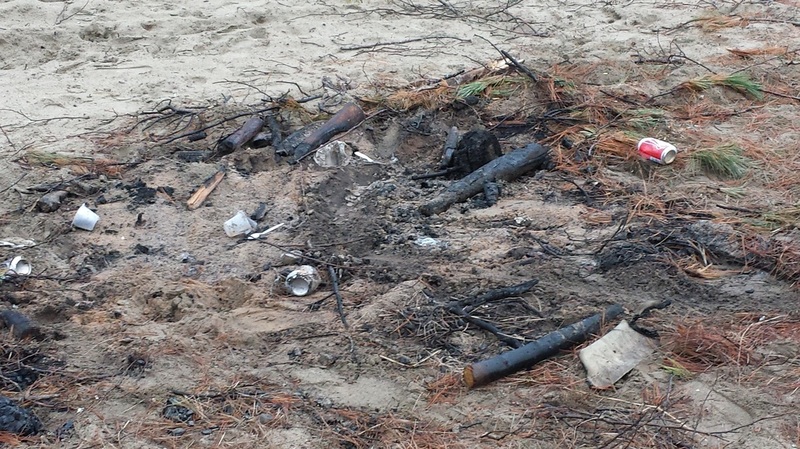 Wildfire danger and trees: It has been said that heavily forested areas are especially dangerous due to the number of trees present and that clear cuts reduce that danger. This is not necessarily accurate. There are many factors when thinking about wildfires and trees, like aspect, steepness, water, wind direction, insect damage, fuel type, density of tree growth etc. Especially in an older, less human-impacted watershed like Glade, a valid argument can be made that current logging practices will increase the potential for wild fire. See Climate Change on this site for more information. 13. The Glade Ferry Road is the community's only access road to the highway. 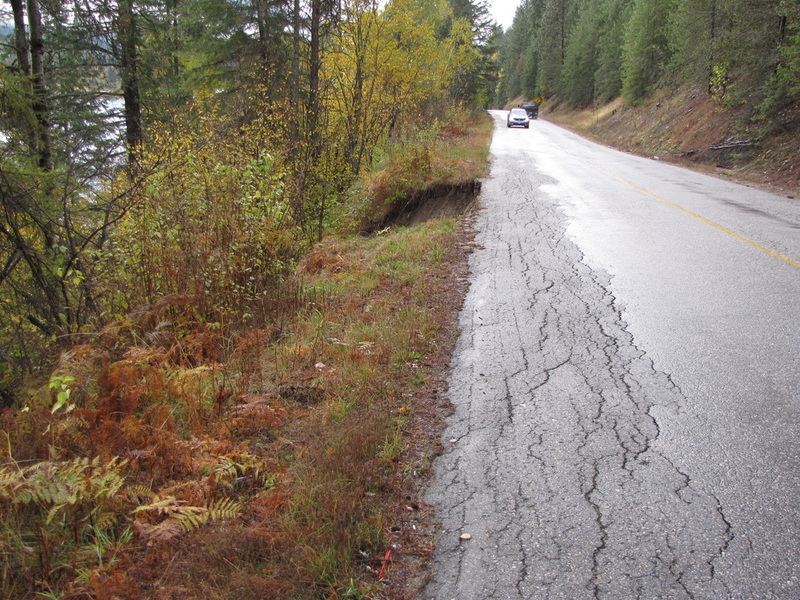 In previous years, this narrow road has been undermined by large amounts of rain falling on the upper bank. It has been temporarily fixed by moving the concrete barriers further in onto the road, making it even narrower: just under 20'. These roads would likely be further destabilized by logging trucks and heavy machinery traveling that route. 700 trucks going through our small community and up Glade Ferry Rd. road entirely and put great stress on the weakened side. 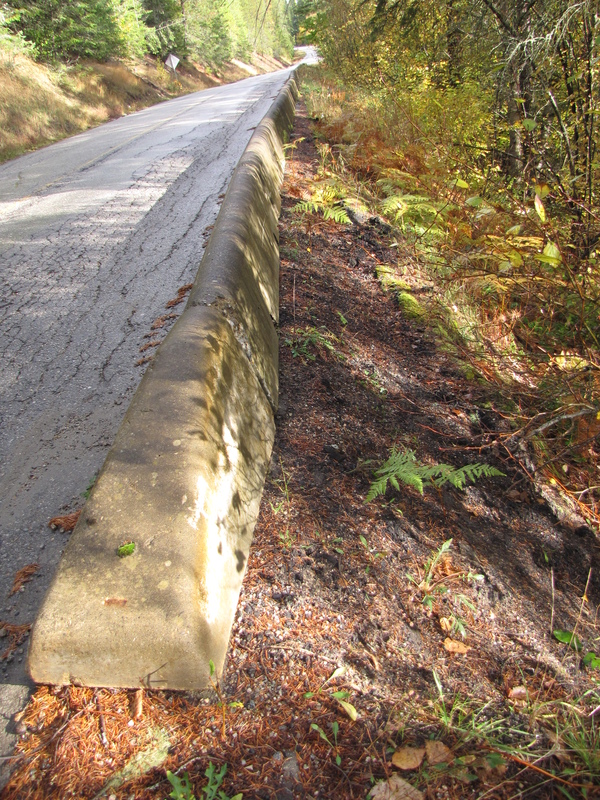 -Update: Oct 14, 2016 Glade Ferry Road experienced a washout, beyond the already compromised area. road shoulder was lost, undermining the Glade Ferry Road and washing down to the CPR tracks below. Looking over the edge. There was still water seeping under the road and rocks falling down when this picture was taken. 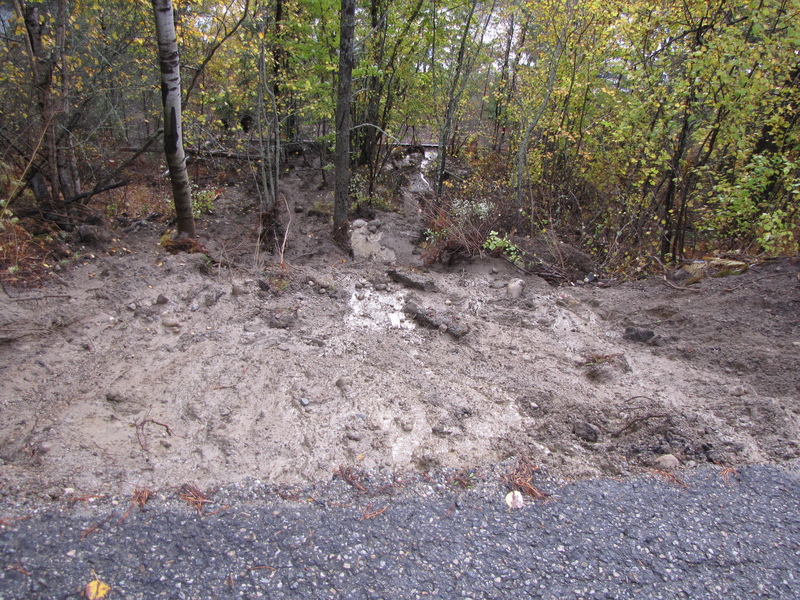 Oct 14, 2016 washout seen from the CPR tracks below. The tiny black area at the top is the 2' deep hole underneath the paved road. The mud reached to the top of the tracks. 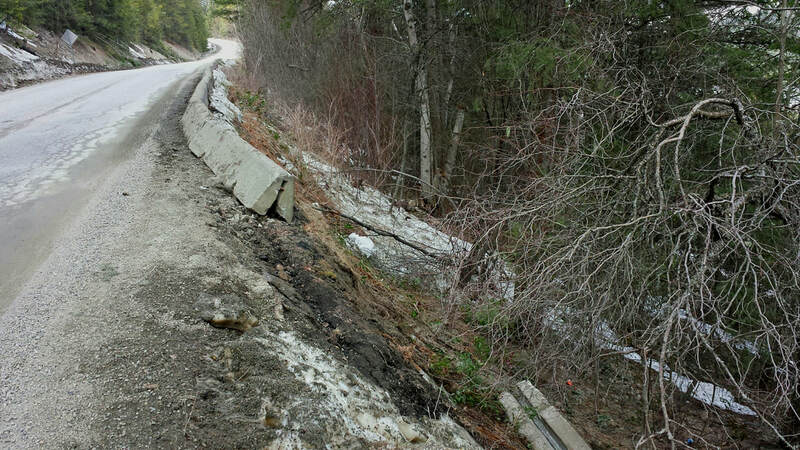 30' wide washout on the shoulder of Glade Ferry Road. Pieces of the paved road from the edge had broken off and slid down. Glade Ferry Road with washout on shoulder. UPDATE Nov 2018: This section of road has now been re-paved by the Ministry of Transportation: Just in time for the soon-to-be logging truck traffic! Glade Ferry Rd. 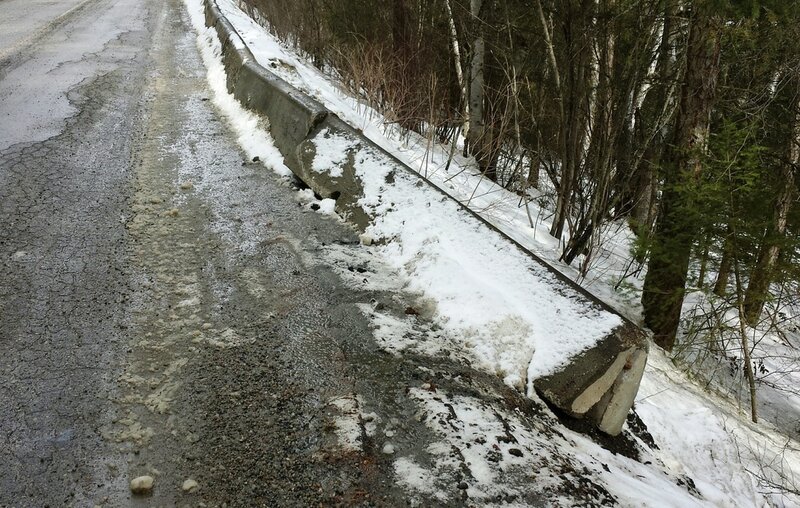 going up to Highway showing concrete barriers placed there when that section of road was compromised BEFORE the 2016 washout. Spring (March) 2018. 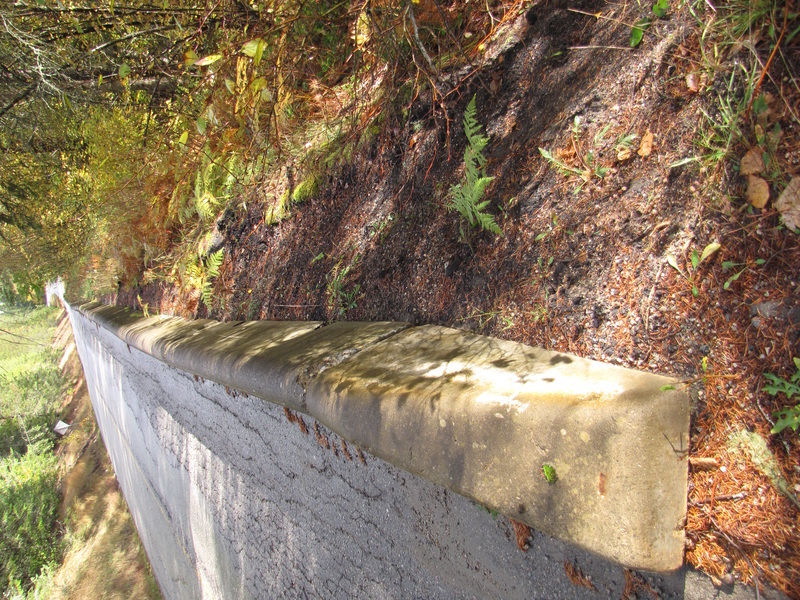 The concrete barriers that were leaning have now fallen down the bank. The barriers were replaced about a week after this photo was taken (below) and lined up again to make this the same narrow road that it was.